Created using the Power Cell system, and with advanced, wicking and quick drying microfibre Tactel® fibres, Puma Performance Running Compression Sneaker Socks are packed with helpful features to keep you running on all cylinders. 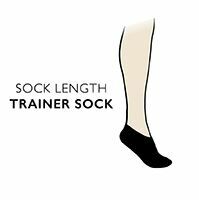 The socks have strategically placed, thin zonal cushioning for protective shock absorption without weight, providing maximum comfort with the minimum of bulk. Added Lycra to the material material gives an enhanced fit, which, along with seam free toe boxes and an anatomically correct left/right shape, defends against chafing or blister formation. The Lycra also serves to add stabilisation through compression, again protecting feet. The socks also feature reflective Puma logos to help you be seen when running outdoors in low light.